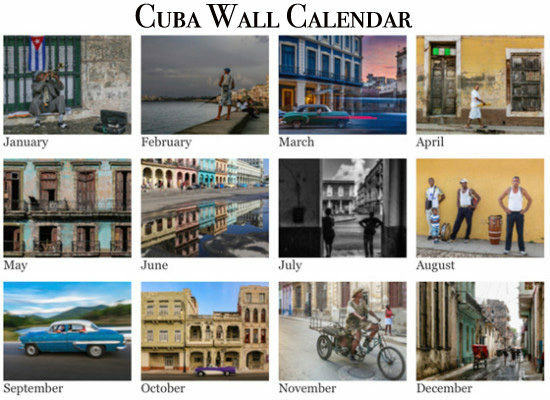 I have produced a line of fine art photography wall calendars for you to choose from here! They dress up any wall in your home and also make a practical and fun gift for someone special. It’s a great way to enjoy my photographic images for very little expense. Travel to Cuba and see it like time has stood still for decades. 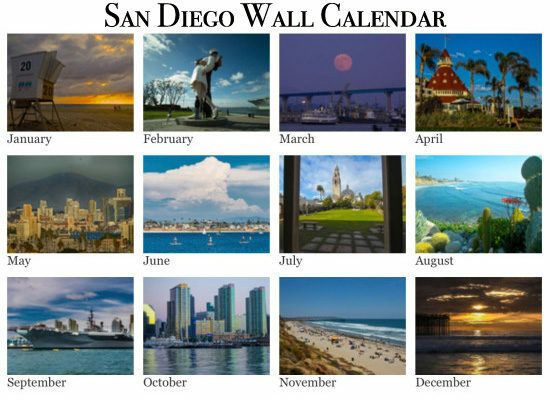 Bask in the sunshine of my home town, San Diego from the beaches to the bays and the city! 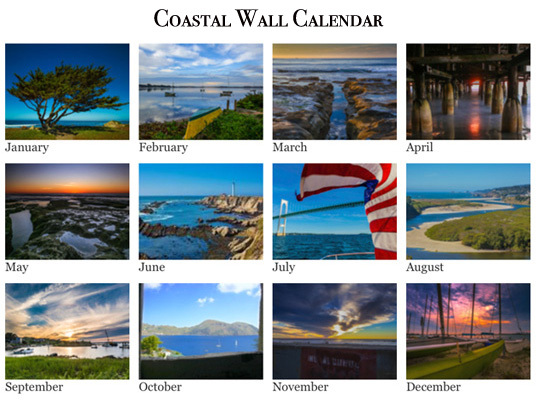 Go coastal with some of my most popular images captured from coastal America. 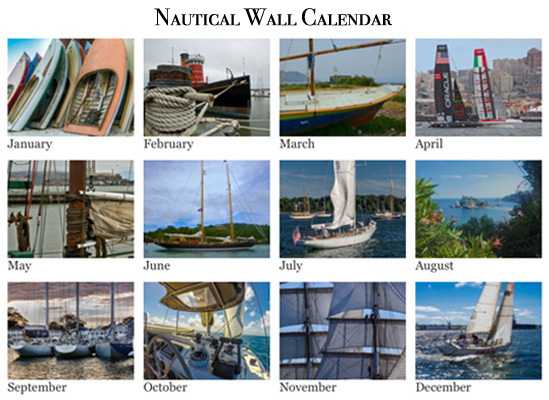 Get nautical with my sailing ship images that incude America’s Cup sailing through the ages. 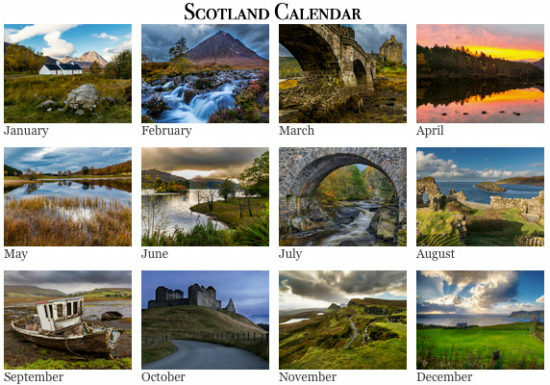 Visit Scotland every month of the year! 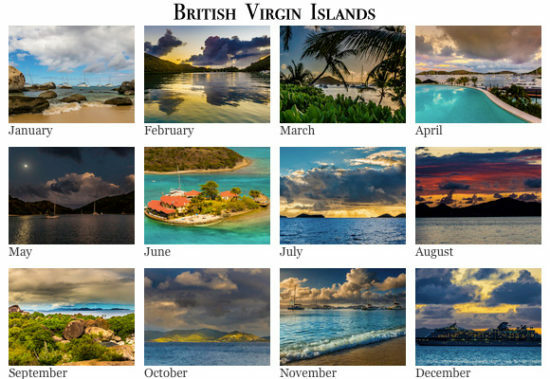 Or, daydream about the BVI. I hope you find one that is just right for you. I can also create corporate sales incentive, and gift type calendars that could include your logo and company information. Just ask! Every calendar can include your tide chart for the entire year wherever you are – or no tide chart. The choice is yours!